The Stage 1 release of our new product, Cash Manager Focus will be a great starting point for those who are new to CRS Software products. We don't recommend Stage 1 Focus for existing clients as your data is not able to be moved over just yet. Additionally, some features you'll recognise in Cashmanager RURAL aren't available until stage 2 for example the EFS report and Enterprising. It is really important that you are able to take all your information with you when you move, so that you can still access all your valuable historical data, for trends and decision making. 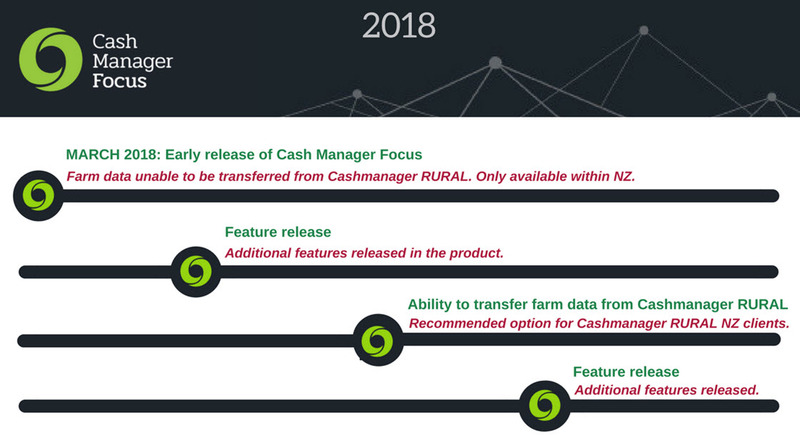 To make this possible we are in the process of building a migration tool that will make the move from Cashmanager RURAL to Cash Manager Focus really easy and straightforward.